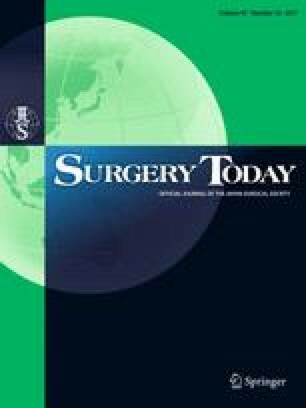 More effective methods are needed for breast reconstruction after breast-conserving surgery for breast cancer. The aim of this clinical study was to assess the perioperative and long-term outcomes of adipose-derived regenerative cell (ADRC)-enriched autologous fat grafting. Ten female patients who had undergone breast-conserving surgery and adjuvant radiotherapy for breast cancer were enrolled. An ADRC-enriched fat graft prepared from the patient’s adipose tissue was implanted at the time of adipose tissue harvest. The perioperative and long-term outcomes of the grafts, which included safety, efficacy, and questionnaire-based patient satisfaction, were investigated. The mean operation time was 188 ± 30 min, and the mean duration of postoperative hospitalization was 1.2 ± 0.4 days. No serious postoperative complications were associated with the procedure. Neither recurrence nor metastatic disease was observed during the follow-up period (7.8 ± 1.5 years) after transplantation. Of 9 available patients, “more than or equal to average” satisfaction with breast appearance and overall satisfaction were reported by 6 (66.7%) and 5 (55.6%) patients, respectively. ADRC-enriched autologous fat transplantation is thus considered to be safe perioperatively, with no long-term recurrence, for patients with breast cancer treated by breast-conserving surgery, and it may be an option for breast reconstruction, even after adjuvant radiotherapy. Shuhei Ito and Yuichiro Kai contributed equally to this work are considered first authors. Mark H. Hedrick is the President and Chief Executive Officer of Cytori Therapeutics, Inc. Hideki Iwaguro is the Director of Medical and Scientific Affairs of Cytori Therapeutics, K.K. The other authors declare that they have no conflicts of interest in association with this study. The Celution system was loaned at no charge, and reagents and disposable supplies were provided at no cost for this study by Cytori Therapeutics, Inc.